Amidst amazing Monday weather (High of 80 degrees with sunshine), campers started their day with excitement as they ate a hearty breakfast of eggs, bacon, and breakfast potatoes. This excitement was present all throughout the day as campers went to their Monday/Wednesday/Friday activities for the first time. Activities included climbing at the Upper Tower, kayaking and swimming in Lake Doris, mountain biking at Spencer’s Green, working on their marksmanship at archery and riflery, and cooking biscuits in the Wishing Well. Many campers were able to work on bars and grow more proficient in the skills required for all of these activities. 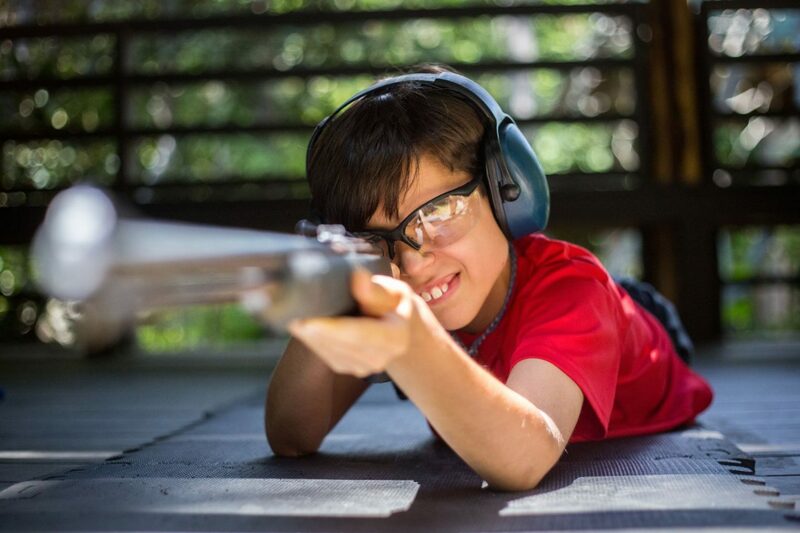 A great way for campers to practice the skills they acquire in their activities is to apply them to the real activities outside of camp by taking trips. Three such trips went out today. Campers such as Tomas G., Edward C., Zach C., Gresham C., and Elias D. fished Humble Hole in the morning and worked their way back down river to fish Siren Flats after having lunch at the Davidson River Hatchery Pavilion on their fly fishing trip. Connor D., Ethan H., Gary M., Byers N., Theodore T., and Peter Q. earned some quality turns at Lake James on their water skiing trip. And on the third trip, Michael A., Henry S., Alex C., Scott S., Magna E., Keegan K., and Charley O. hiked to the top of Babel Tower where they enjoyed the one of the many incredible views and swimming holes that the Linville Gorge has to offer. Tonight’s evening activity is The Great Escape, a camper favorite. In this activity, the goal is to find a hidden flag, and the first tribe to find the flag wins. Each tribe is first divided into groups of 7. A camper from every cabin must be included in each group. These groups then look for hidden counselors who hold clues that are necessary to find the hidden flag. Campers love this game because of its fast paced nature and the complexities that come with trying to decipher the given clues. As the post evening activity wraps up, campers will be heading to their cabins for the post-evening activities. These post-evening activities include the slip’n’slide, s’mores, laser tag, free swim, s’mores, and a possible trading post raid. It has been great day here at Camp Timberlake! Stay posted for more news and photos of the campers as the week goes on.